Planning for your frequent flyer miles. 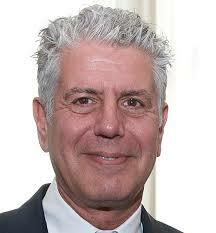 How Anthony Bourdain did it. Anthony Bourdain did something most American's fail to do- he created an estate plan and laid out exactly who he wanted to get what when he died. I think that most of us would have imagined that he would have had a larger estate than he did with his success he had later in his life, but it is not about how much you have when you pass on but rather what you do with it when you pass on. He made sure his one and only child was provided for and he did something most of us forget to do - he planned for his frequent flyer miles. Your estate plan should include provisions regarding what you want to have happen to your frequent flyer miles when you pass away. Each airline has different rules and regulations on what can be done with these valuable assets upon the owner's demise so you need to read the contract very carefully, but most of them should allow for you to pass on these miles to your loved ones after you die. Some clients have passed these miles on to some great charities like Make-A-Wish, thereby allowing the charity to grant wishes to children who are terminally ill. There are many planning opportunities with these types of assets. If you have not planned for your frequent flyer miles come in and see us and we can talk about how you can leave these to your loved ones. For more information on estate planning or to find seminars in your area, visit us at morristrust.com or call 888-222-1328.